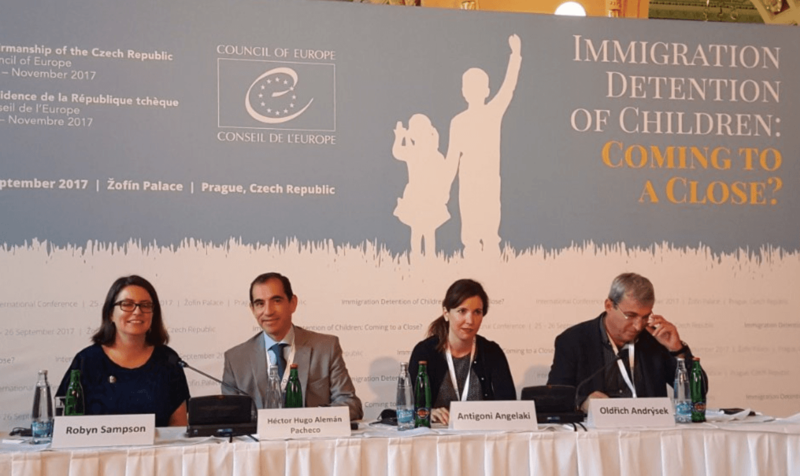 An international conference “Immigration Detention of Children: Coming To A Close?” took place in Prague at the Žofin Palace on 25-26 September hosted by the Czech Chairmanship of the Committee of Ministers. The conference provided an opportunity to exchange know-how in a number of key areas including existing international human rights standards, views and approaches of regional and universal monitoring, current examples of alternatives to the immigration detention of children and experiences from the field in safeguarding the best interests of the child. 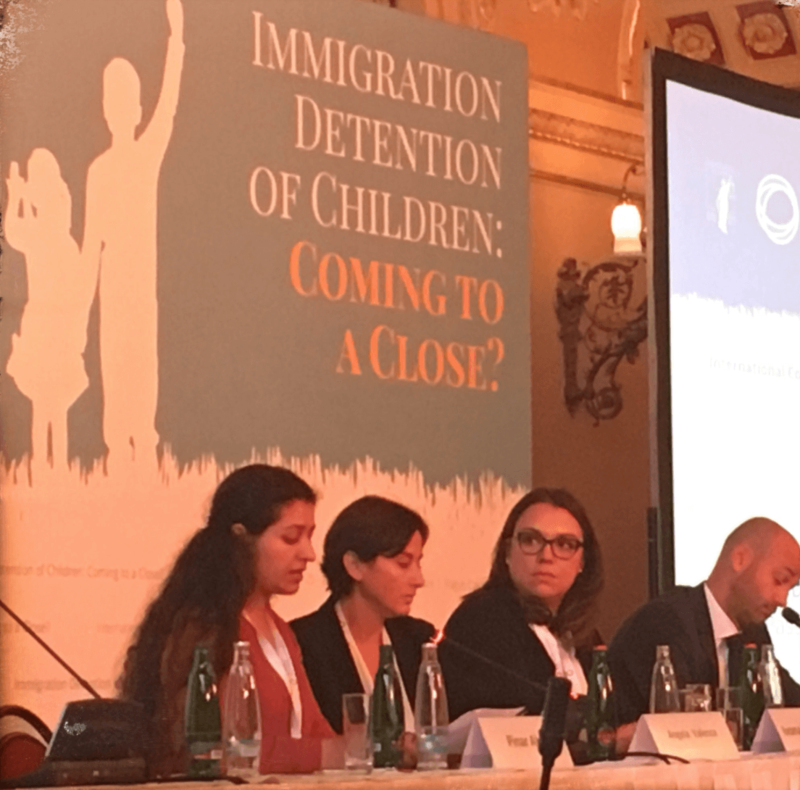 IDC staff at the event included Dr. Robyn Sampson – Research Coordinator and Melanie Teff – Senior Child Rights Advisor, as well as Pinar Aksu – Youth Ambassador for the Global Campaign to End Immigration Detention of Children. IDC Advisory Committee Member Katarzyna Slubik also attended. 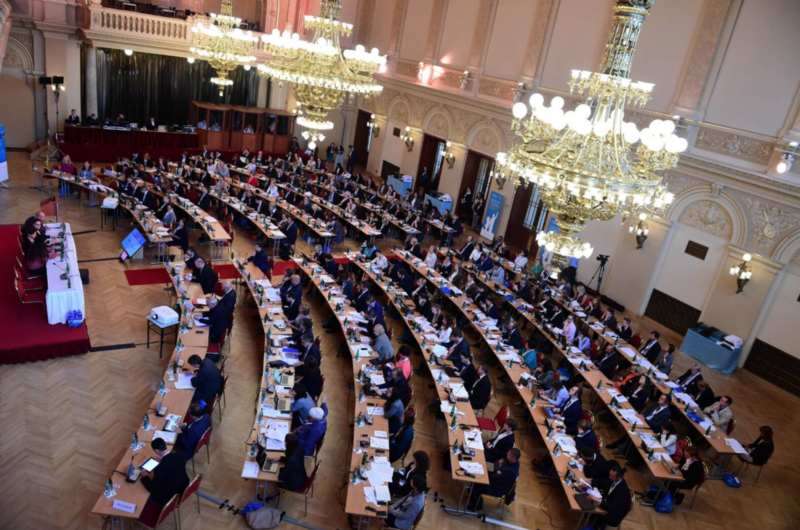 The Parliamentary Assembly of the Council of Europe (PACE) adopted a resolution in 2014 calling on member states to prohibit the immigration detention of children. It is an opinion that has been echoed by the European Parliament, in line with the CRC Committee Recommendation that immigration detention can never be in the best interests of a child, and States should cease the practice expeditiously. See a summary of normative and policy developments that acknowledge that immigration detention is never in the best interests of a child here. Despite this clarity, several regional human rights mechanisms in Europe, and States, continue to promote the use of immigration detention for children as provision of last resort, particularly in the returns context. The conference in Prague provided a space for this important issue to be discussed in depth in the European context. The Minister of Justice of the Czech Republic, Robert Pelikán provided powerful opening statements about his families history of forced displacement, emphasising that children have no place in detention. The Council of Europe (COE) Commissioner for Human Rights, Nils Muižnieks, said that “child-friendly detention is an oxymoron” calling on alternatives to detention to be used for all migrant children. The COE Special Representative of the Secretary General on Migration and Refugees, Thomáš Boček, reinforced the need for engagement-based alternatives in his concluding comments. Our Youth Ambassador Pinar Aksu presented a very powerful personal story of her detention as a child – see her testimony here. We were treated as criminals​. Our rights as citizens were taken away. As a child at the time, I saw many things that no child should see. Dr. Robyn Sampson, Research Coordinator of the International Detention Coalition, provided insight into alternatives to detention in Europe. She highlighted the “European Alternatives to Detention (ATD) Network” which links civil society organisations developing case management-based pilot projects in five European countries. 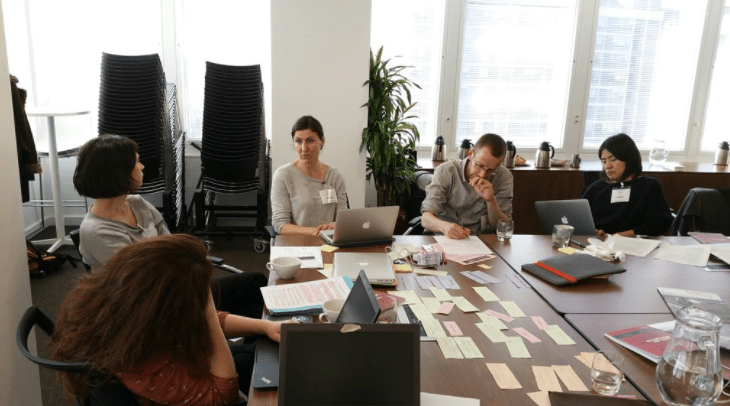 The “European Alternatives to Detention (ATD) Network” links civil society organisations developing case management-based pilot projects in five European countries. Katarzyna Slubik, the lead advocate at the Association for Legal Intervention based in Poland, presented on the alternative to detention project they are currently developing, which is a member of the European ATD Network. She shared insight into why the project was needed, what services were being offered, and her experience working with civil society with the intention that the pilot can be utilised and expanded by government. Ben Lewis from the UN Office of the High Commissioner for Human Rights provided reiterated that detention as a result of a child’s migration status – or their parent’s migration status – is always a child-rights violation. The Council of Europe Director General of Human Rights and Rule of Law, Christos Giakoumopoulos, said in his concluding statements that he can only imagine incredibly narrow situations when detention of children could be necessary. 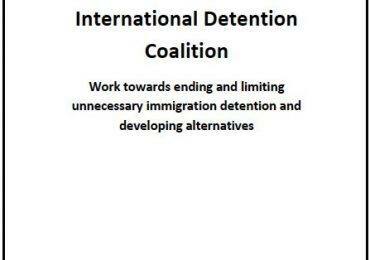 This work also complimented the PACE Committee Parliamentary Campaign to End Immigration Detention of Children, which involves regular briefing sessions with various experts to deepen the knowledge of Parliamentarians on the issue of ending child detention. Developing alternatives to detention for children provides States with an opportunity to save on costs, improve effectiveness and comply with their international human rights obligations. 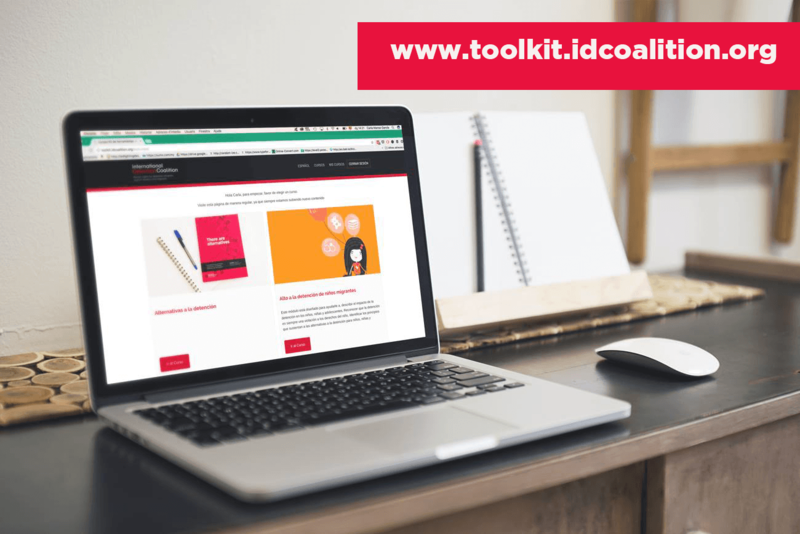 The IDC has developed a model which highlights the key areas for States to be aware of when developing alternatives to detention for children. 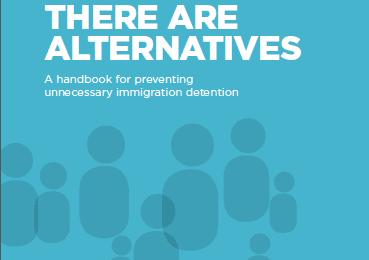 To find out more about alternatives to detention for children, take a look at our online toolkit, featuring interviews with practitioners who are implementing alternatives to detention.